It’s all about Alice in Wonderland now that Tim Burton’s big screen-version has opened this weekend. It reminds me how we all went gaga over Where the Wild Things Are this past autumn. 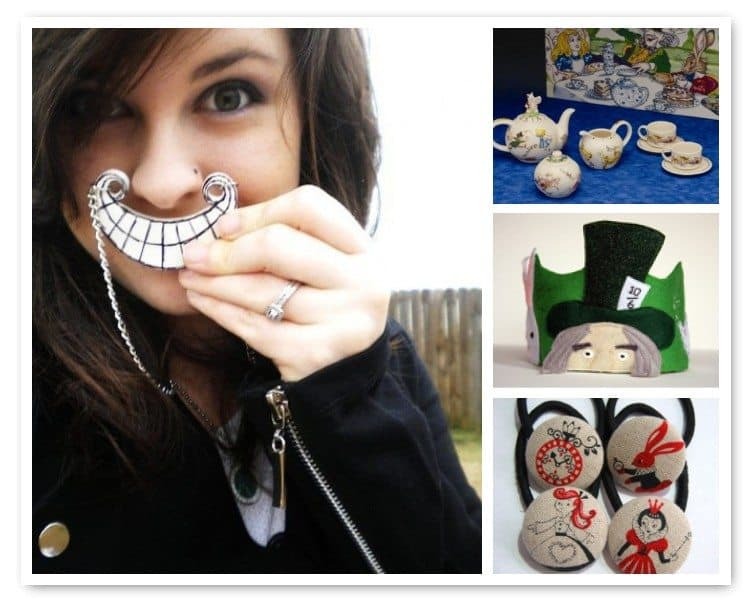 – What’s Alice without a tea party and here’s the best Alice in Wonderland tea set! – This Mad Hatter felt crown is perfect for dress up. 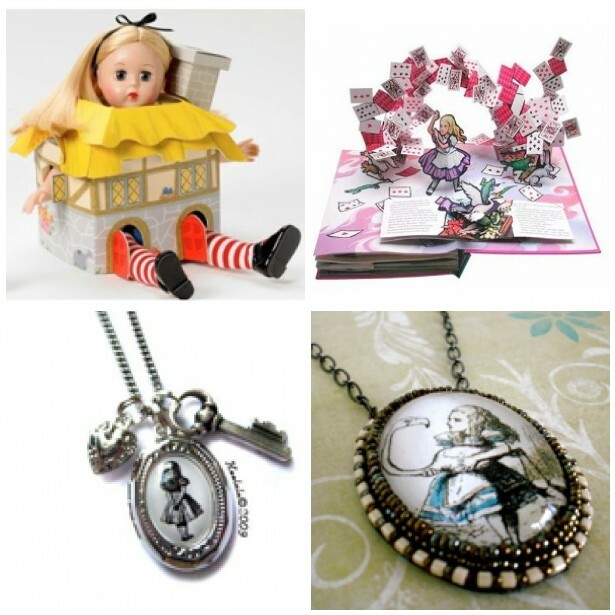 – This collectible Alice in Wonderland by Madame Alexander can be removed from underneath her house, don’t worry. – This Alice in Wonderland pop-up book by Robert Sabuda is a masterpiece. Trust me. – Love this pendant necklace with an image of the original illustration. – This charm necklace will delight any girl or mom. This designer has one hundred other variations to choose from. As if Alice Tea Party birthdays aren’t already popular, I would expect to see a whole bunch more this spring and summer. And my only response would be, Bring it on. Because, really, tea parties are great and Mad Hatter ones, even better. If you’re looking for inspiration, visit Alpha Mom contributor Ellen Baker’s write-up at The Long Thread and Joslyn’s at Simply Lovely. 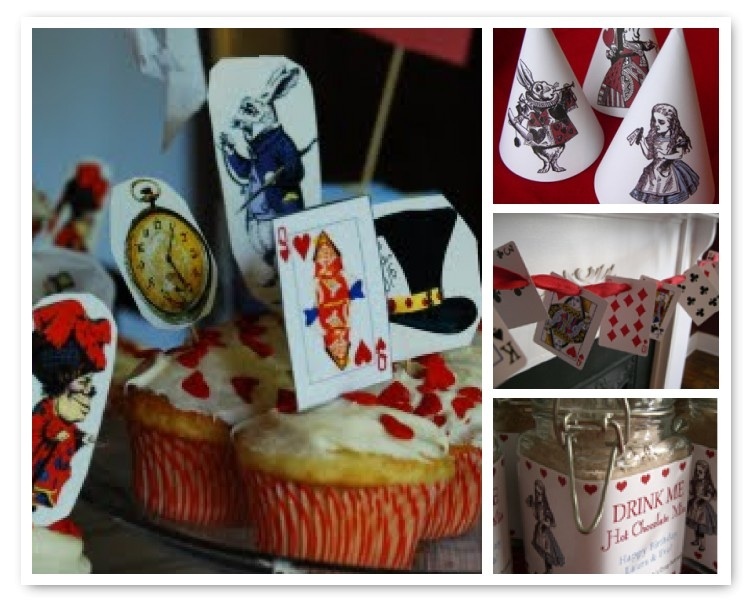 Below are images from the Alice in Wonderland themed birthday parties for their daughters. LOVE em. That is adorable! My niece would love a party like this.